All of the above provide a slower pace with lots of guidance from the instructor to provide a basic understanding of breath and alignment. We also offer an Introduction To Yoga Workshop Series quarterly for those who would like to ease into their practice with one-on one attention in a smaller group setting. Check the Workshops page of our website for upcoming schedule. Hot Vinyasa is typically for intermediate to advanced levels and focuses on one breath, one movement in a continuous flow of postures that emphasize core strengthening and balance in a heated room to warm the muscles and enhance flexibility. If you have questions about a specific class, have a pre-existing injury or are pregnant, please inform an UpDog staff member for guidance when you arrive for class. You may also call or email us anytime. Try to take advantage of as many different teachers, times and classes as possible, depending on your experience level. Typically, experienced Yogis practice every day. An ideal frequency for beginners is 2-3 times per week which will enable you to begin to feel the effects of your practice and the changes in mind, body and spirit in about a month's time. 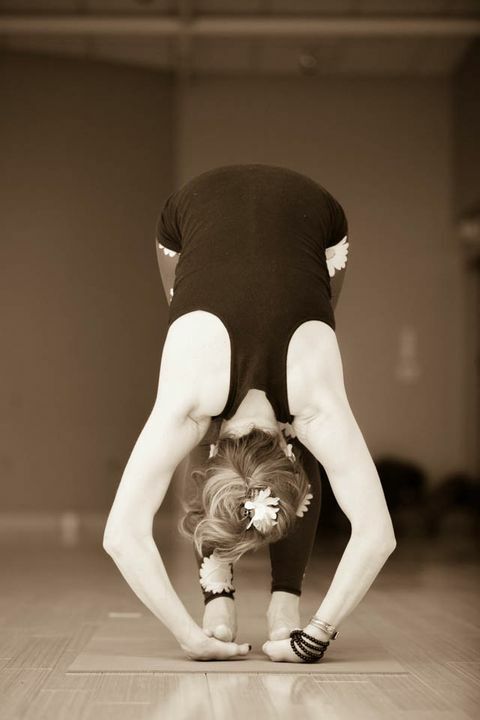 You will feel most comfortable practicing in layered, lightweight “workout clothes” with bare feet on a Yoga mat. Clothing made from wicking fabrics vs. heavy cottons are best. Loaner mats are available for $1. Why shouldn't I eat before taking a Yoga class? Food interferes with the body’s ability to cleanse and detoxify. Check with your physician before beginning a physical routine. Upon arrival for class, inform the instructor that you are pregnant and how many weeks so she/he is aware and can offer any pose modifications and/or props that may be more comfortable for you. Yoga has been proven to reduce stress, increase mental acuity, improve circulation, slim and tone the body and increase energy. 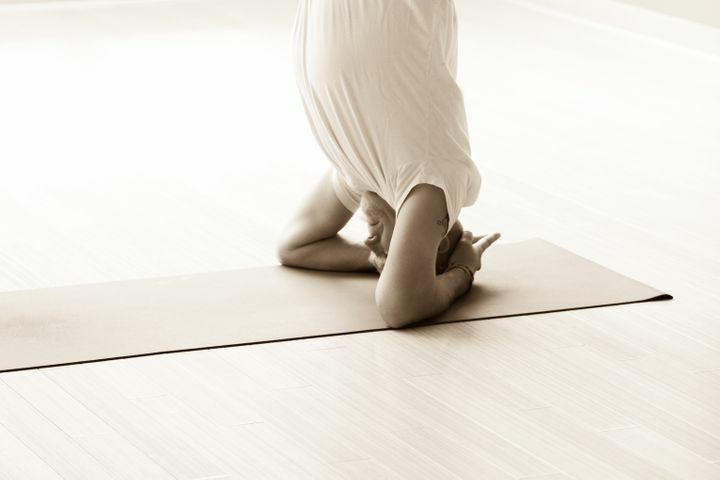 Yoga can also help develop and maintain a daily meditation practice. • Arrive 10 minutes prior to scheduled start time. • Check-in at the Front Desk prior to class. • Bring your own Yoga mat, or rent one for $1 at the Front Desk. • Eat 2 hours before class. • Wear perfumes, lotions or cologne. • Bring cell phones or pagers into class. We would like to extend a special welcome to the many, many new students who select UpDog as the place to learn and grow your personal Yoga practice-- we are deeply honored that you chose UpDog! Note that all new students are required to complete a New Student Waiver Form on your first visit which is available at the Front Desk. Please contact us at 248-608-6668 should you have any other questions. Please try to arrive 10 minutes or so prior to the scheduled class start time. Avoid eating at least 2 hours before you practice. Drink plenty of fluids before and after class, but try to avoid drinking fluids during class. Feel free to use the changing room to store your personal belongings during class. Start with Basic, Yin, Basic Backs or Gentle Yoga then move to Slow Flow, Slow Burn, Ashtanga and/or Vinyasa classes if you feel you need more of a challenge. Be sure to tell your teacher(s) about any specific physical limitations you may be dealing with. When in doubt, set up next to one of UpDog's more experienced students; feel free to practice "gawk-asana" (watching someone else practice a pose) if you feel lost. Have fun! Smile! Be grateful you're on the top side of your mat.